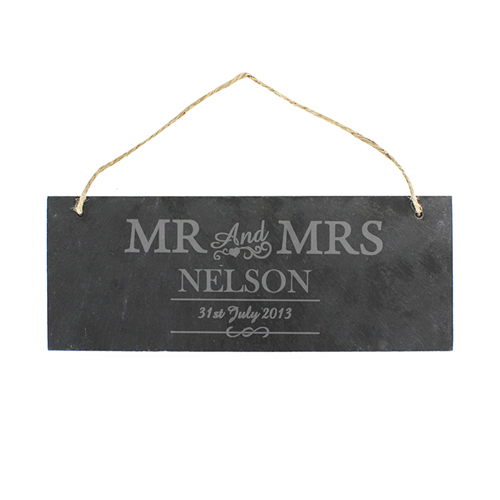 Personalise this Mr & Mrs Door Sign with a couples surname up to 15 characters and date up to 20 characters. Surname will appear as entered. If you would like the personalisation to be formatted like the image please enter Line 1 in uppercase and Line 2 in propercase e.g. The door plaque has a piece of natural, rustic string which enables this item to be hung up. Personalise with a couples surname up to 15 characters and date up to 20 characters.